Rhinoplasty is a medical term for rhinoplasty surgery. This procedure aims to change the size or shape of your nose. This rhinoplasty overview will give you more information about this surgery and what it can accomplish. What changes can be made in our nose with a nose surgery? Your nose is the basic feature of your face. In addition, its size and shape contribute to face balance. While your parents inherit the characteristics of your nose, these traits usually begin to develop throughout your teenage years. There are a wide variety of nose shapes and sizes on the faces of everyone around you, and everyone has different ideas about how a "good" nose looks. Augmentation is a word that is used to "increase", "magnify". Especially in patients with reduced nasal volume, "augmentation rhinoplasty - nose augmentation aesthetic" is performed to increase the volume of the nose and enlarge the nose. Silicone nasal prostheses produced by 3D printing, especially in the far east, can also be used. Which grafts and materials can be used for Augmentation Rhinoplasty? Various industrial products and tissues of the patient can be used to increase nasal volume. There are various materials that can be used to increase nose dorsum. 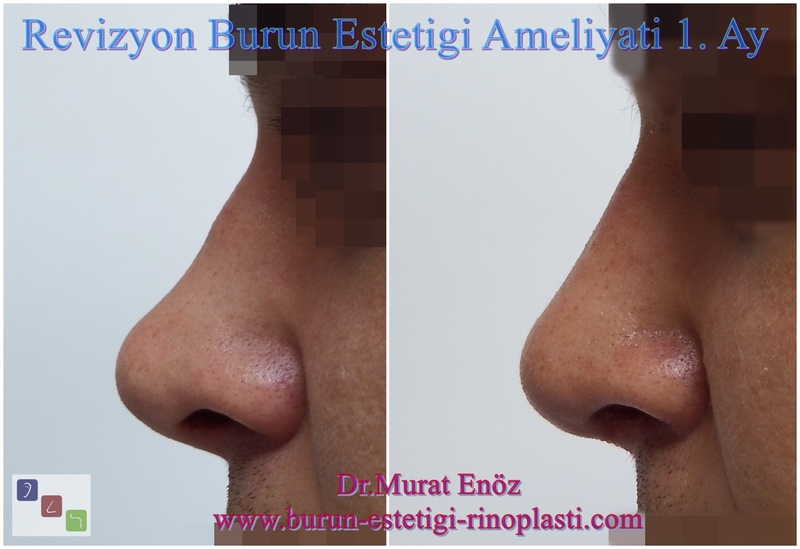 Enlargement of the nose dorsum can be performed using alloplastic materials, bone or cartilage. Below you will find the images before and after the revision nose surgery operations in which we place a pediatric vessel graft. In addition, temporal muscle membrane of the patient (temporal fascia graft), cartilage membrane, cartilage powder, subcutaneous tissue can also be used for augmentation rhinoplasty. For most surgeons, the autogenous (taken from the patient's own body) cartilage graft is the first choice in rhinoplasty due to its absorption and resistance to infection. Common autogenous cartilage grafts in rhinoplasty are septal cartilage, ear cartilage, or rib cartilage. Why do you need to enlarge your nose? 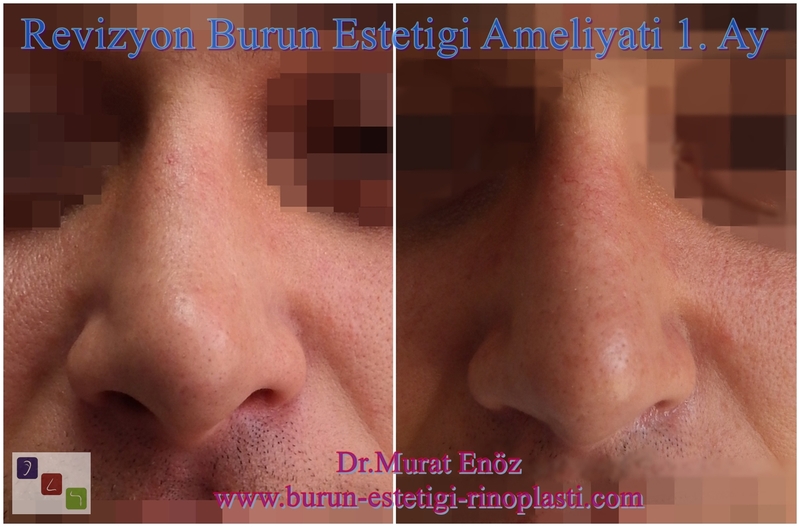 The primary and revision rhinoplasty are challenging procedures. The nose is one of the most visible organs on the face, and its appearance contributes greatly to facial aesthetics. To achieve aesthetically pleasing results, to ensure patient satisfaction and to minimize complications, the rhinoplasty surgeon must have complete knowledge of nasal anatomy and ideal facial aesthetics. The nose aesthetic surgeon should also be familiar with all types of graft materials and available methods to correct nasal deformations. Especially during the nasal surgery operations, "excessive bone file" and "exaggerated dorsal excision" result, the nose can be more flattened than the front (similar to the Caucasian and East Asian face structure). When the volume of the nose dorsum is increased, the nose is thinner than the front, the tip of the nose is thinner and the nose length may appear more than the nose. 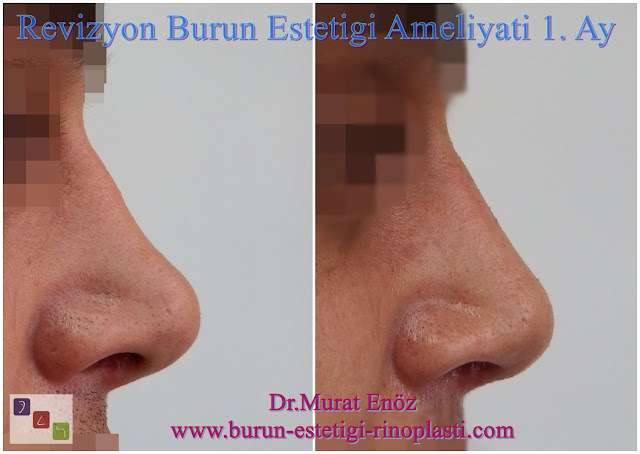 As seen in the photos below, the nose belt can cause the nose tip to appear abnormally ahead (like the Pinocchio nose) in the nostrils that are too filed. In fact, the physician who examines the question is appropriate to answer. If you have a sufficient amount of cartilage in your nasal septum, if there is only cartilage present, a "cartilage paste" with cartilage powder and fresh blood mixture can be prepared and spread under the skin of the nose, and the skin can be shaped by cold water after deposit. If there is not enough cartilage tissue in the nose, it may be planned to take cartilage grafts from the patient's auricle or rib, to take temporal muscle graft from the temple area or to use rib cartilage of other people who are irradiated. The muscle membrane can be wrapped around a syringe so that the tip of the muscle can be stitched to obtain a tube from the muscle membrane. In this, chopped or powdered cartilage tissue can be filled and placed on the nose dorsum. The use of chopped cartilage has been described in various ways in the literature which have consistently provided satisfactory results. Here, we present our experience with dorsal enlargement during rhinoplasty using an updated cartilage method wrapped in fascia. Chopped cartilage fascia techniques have become the technique of choice for an ever-increasing number of rhinoplasty surgeons. The fascia-chopped cartilage represents a potentially ideal graft for dorsal enlargement, while benefiting from low complication rates associated with autologous grafts, as well as providing a graft capable of reproducing dorsal esthetic lines in a natural and predictable manner. The use of chopped cartilage has been described in various ways in the literature, which has consistently yielded satisfactory results. (source >> An updated diced cartilage fascia technique for dorsal augmentation in rhinoplasty). In the ongoing follow-up of the most appropriate technique to strengthen the dorsum during primary and revision rhinoplasty, surgeons are constantly trying to increase sensitivity, safety and persistence.